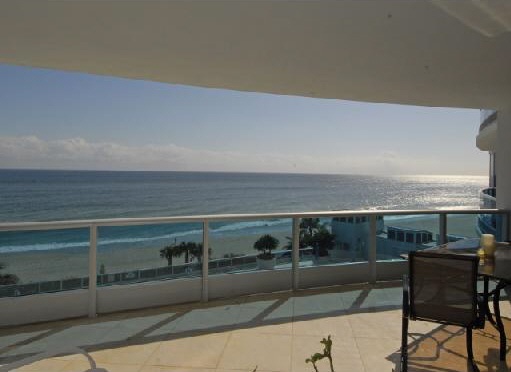 The Aquazul Condominium on the Ocean in Fort Lauderdale - A luxury oceanfront 25-story contemporary glass tower located in Lauderdale by the Sea has become one of this areas most magnificent beachfront jewels. Located just north of the glittering Galt Ocean Mile on Fort Lauderdale Beach, and comprising just over 3 acres of oceanfront land with over 200 feet of pristine Lauderdale by the Sea ocean & beach frontage, this elegant and contemporary glass masterpiece is home to only 80 flow-through luxury residences with just 4 units per floor, each with private elevator access to your home. 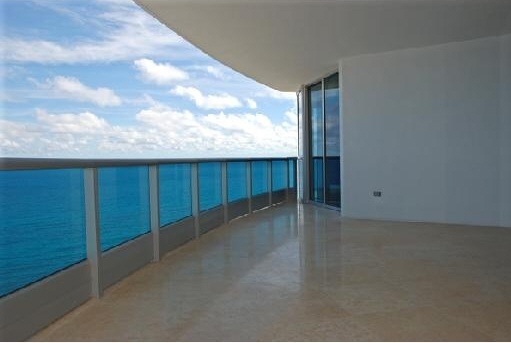 Daily sunrise and sunset views from these spacious flow-through floor plan homes are just one of many spectacular features of this luxury oceanfront condominium. 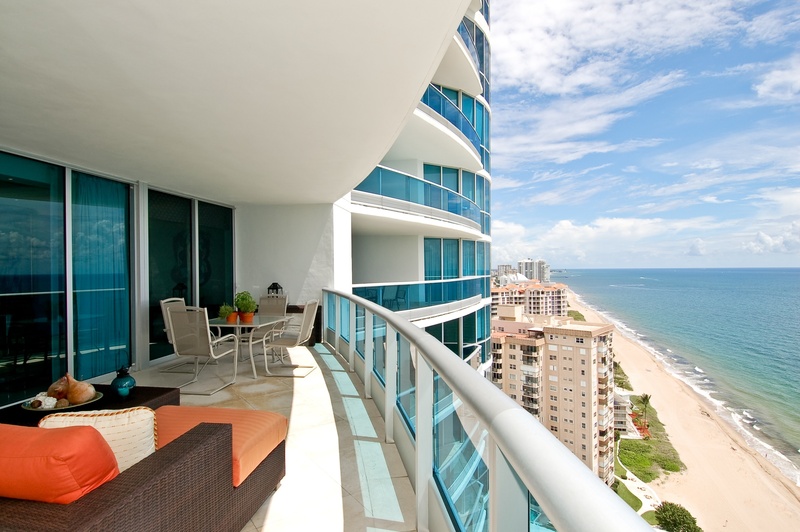 Aquazul's luxury condos range in size from 2,572 square feet to 3,029 square feet with over 400 square feet of balconies. 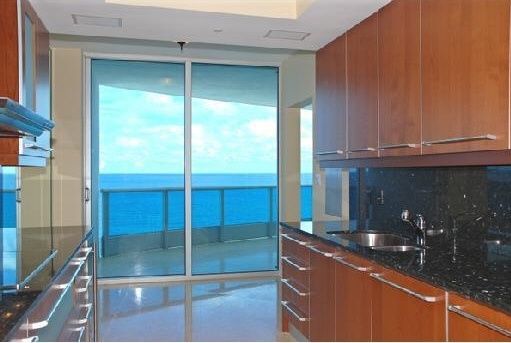 The "typical" Aquazul condo residence offers 3 bedrooms and 4 or 5 baths. There are two penthouses designed to combine two side-by-side residences into one, with over 5,400 square feet of living space and terraces totaling almost 1,000 square feet. 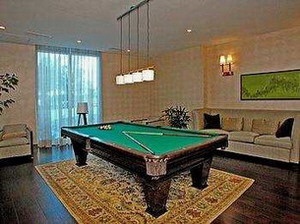 The entire Aquazul condominium tower is configured to facilitate double residences on any of the floors. 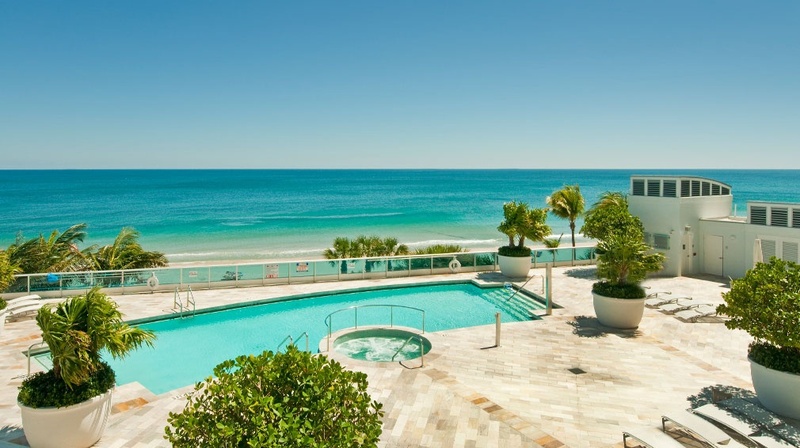 The Aquazul condominium welcomes residents and guests into a porte-cochere entry leading to a grand two-story lobby, a seaside pool and spa pavilion and cabanas, fitness center, and clubroom. 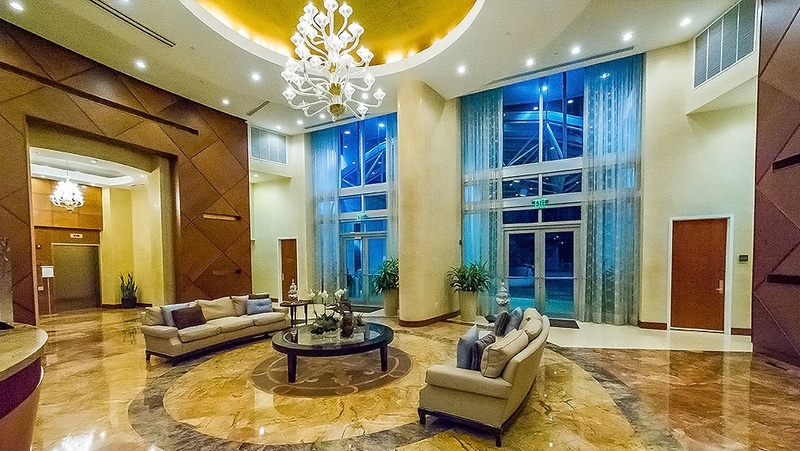 Services include 24-hour security and concierge/valet services and more. 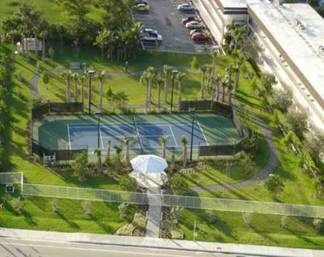 Each Aquazul residence comes with one covered parking space. Additional spaces are available. Guests will be provided with valet parking. Poolside and beach cabanas can be purchased by owners when available. The developer, Related Group, has also purchased the plot across the street from Aquazul (shown at left), which belongs to the condo and serves as a Botanical Garden with a lighted tennis court. This will assure owners that their sunset views toward the Intracoastal waterway from AquaAzul will never be replaced by another hi-rise on that plot. 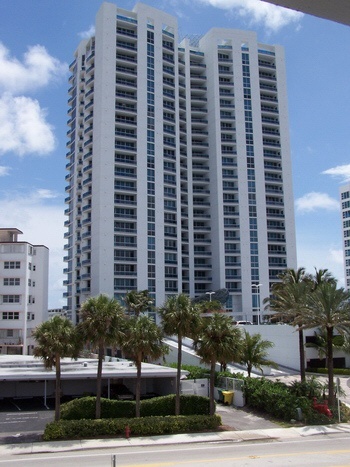 The AquAzul Condominium is a short 15 minute drive from the Fort Lauderdale International Airport and downtown Fort Lauderdale. Enjoy the splendid bistros and shops of Las Olas Blvd. The nearby Broward Center for Performing Arts provides wonderful concerts and shows. The AquAzul is a truly unique condominium along Fort Lauderdale's 7 miles of beautiful beaches. 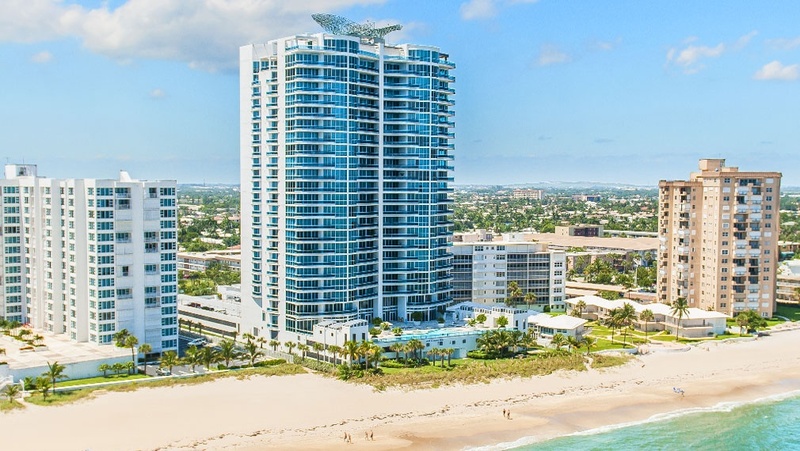 The City's award-winning wave wall and signature beachfront promenade highlight Fort Lauderdale's world famous coastline, which is punctuated by an array of shops, restaurants, sidewalk cafes and entertainment venues. Beachgoers can participate in a wide range of activities from boating, wind surfing, jet skiing and volleyball to snorkeling, scuba diving, deep-sea fishing and rollerblading. Or, if relaxation is what you desire, simply sit back, unwind and enjoy beautiful weather and breathtaking views of the Atlantic Ocean.